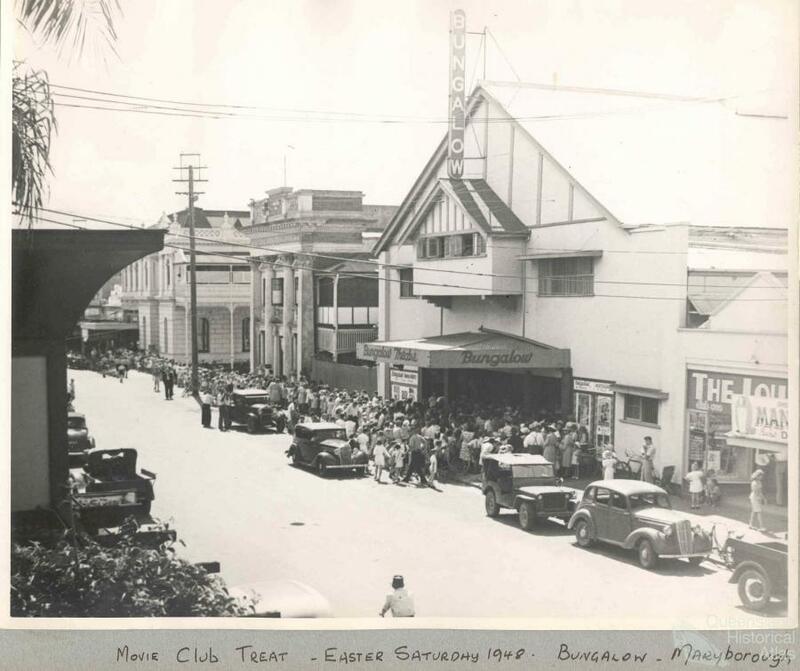 Cinema in regional Queensland provided generations of cinema-goers with increased opportunities for leisure, entertainment and social interaction. 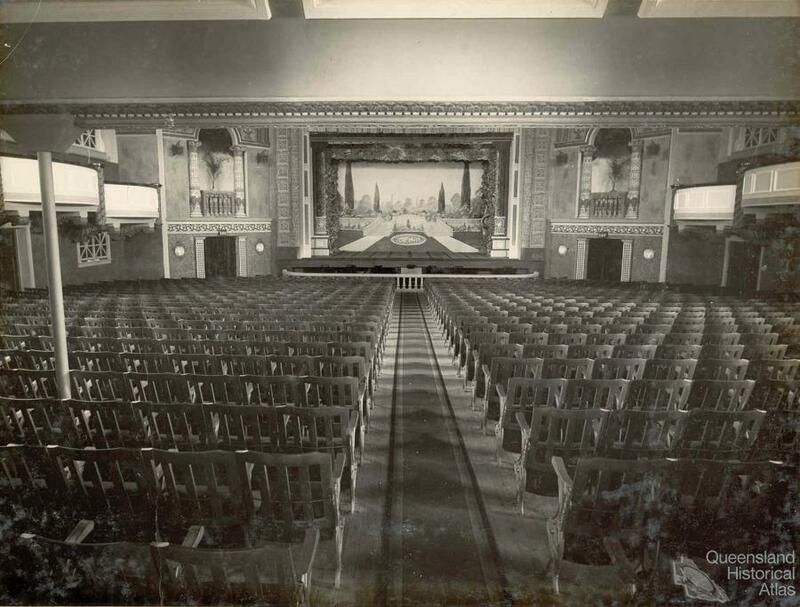 Early silent films were screened in a range of venues, both outdoor and indoor, and in conjunction with live entertainment such as vaudeville and theatre. Competition for regular venues and local audiences, combined with pressures from American film distributors, encouraged exhibitors to acquire and operate several venues in Queensland’s larger regional centres. Prominent among this group were Edward John and Dan Carroll of Ipswich, who pioneered film exhibition in Brisbane and Ipswich, before establishing a regional circuit with George and Mary Birch of Rockhampton from 1911-23. 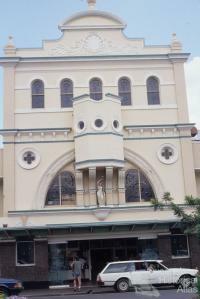 This successful partnership laid the basis for the establishment of the Birch, Carroll and Coyle consortium which incorporated Virgil Coyle’s North Queensland theatres in 1923. With financial backing from Greater Union Theatres and from regional Queensland shareholders, Birch, Carroll and Coyle embarked on the ambitious construction of Wintergarden picture palaces, beginning with Ipswich and Rockhampton in 1925 before adding Townsville, Bundaberg and Maryborough in the late 1920s. Its chain of Wintergarden Tropical Theatres blended metropolitan sophistication with practical measures designed to accommodate tropical and sub-tropical conditions. Along with elaborate lighting and ventilation systems, the regional picture palaces helped transform cinema-going into a leisure activity more akin to theatre-going than attending cinema’s reputed ‘flea pits’. 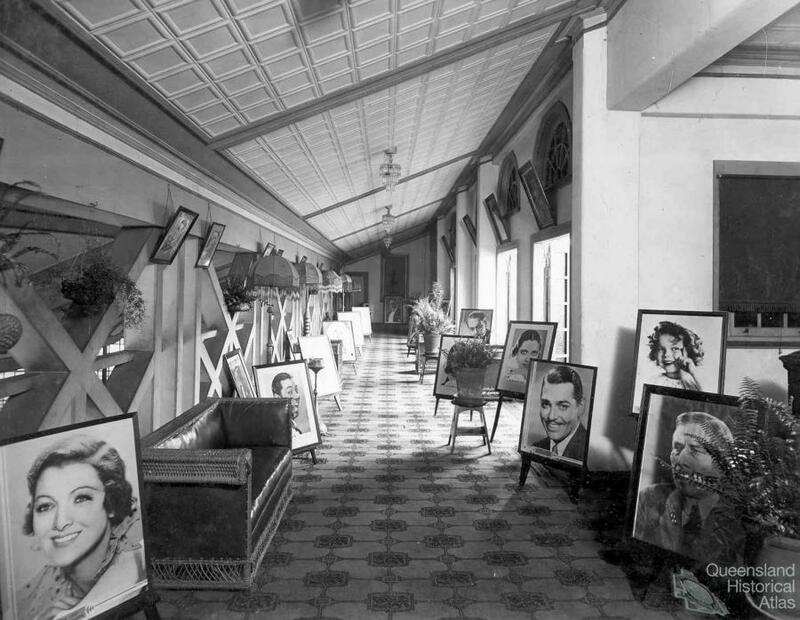 The Carrolls maintained the tradition of mixing film exhibition and live entertainment in their venues, offering regional Queensland audiences musical production and overseas tours in conjunction with J. D. Williamson. 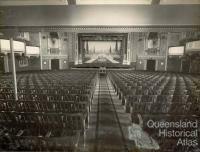 In Townsville and Rockhampton, Birch, Carroll and Coyle ’s commodious theatres, equipped with orchestras and usherettes, dominated exhibition with combined seating of 4000 and shared first release films. The economic Depression brought theatre construction to a halt, but ushered in the coming of sound and the installation of Western Electric’s expensive vitaphone system to the disadvantage of smaller operators. Urged on by its state manager, Bill Winterflood, Birch, Carroll and Coyle pioneered sound in Queensland with a highly successful state-wide tour of Al Jolson’s The Jazz Singer in late 1929. Despite the detrimental impact of the Depression and of the talkies on the employment of theatre musicians and orchestras, large regional exhibitors continued to employ significant numbers of staff. Prior to World War II, Birch Carroll and Coyle’s Rockhampton operations employed 42 staff, including women in senior roles, as well as local artists and advertising staff who staged local promotion campaigns and street theatre to coincide with newspaper publicity. The star system, which characterised modern film celebrity culture, exercised ongoing appeal for local audiences through regular promotional campaigns and American studio influence. 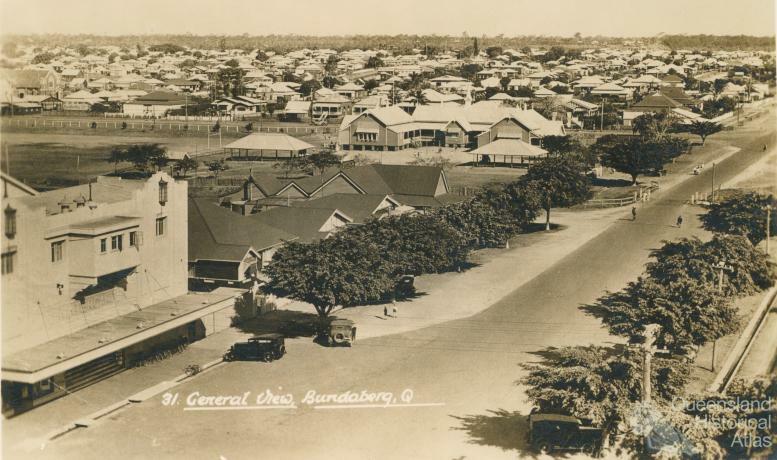 In smaller Queensland centres, frequency of exhibition depended on enterprising individuals, families and upon the circuits of travelling exhibitors, some with access to Aboriginal Reserves. In larger centres, segregation was less obvious, operating on a theatre by theatre basis and according to pricing. Despite the onset of austerity in the 1930s and 1940s, regular cinema attendance continued on a weekly or fortnightly basis, even in smaller centres like Barcaldine. A taste for Hollywood escapism and for the news and information provided by war-time newsreels sustained interest through Depression and war. Along with popular matinee programs geared for children and families, the arrival of American GIs and Australian troops in war-time Queensland relaxed viewing regulations with the introduction of Sunday screenings, amid renewed concerns about the growing influence of Hollywood mores. On-screen kissing provided cinema-going with its romantic allure, combined with the social practice of dating that cinema outings provided. The highly centralised and vertically integrated system of distribution operated by the America’s five film majors established a hierarchical local system which deprived small exhibitors of profits and entailed lengthy delays in the arrival of new film prints. 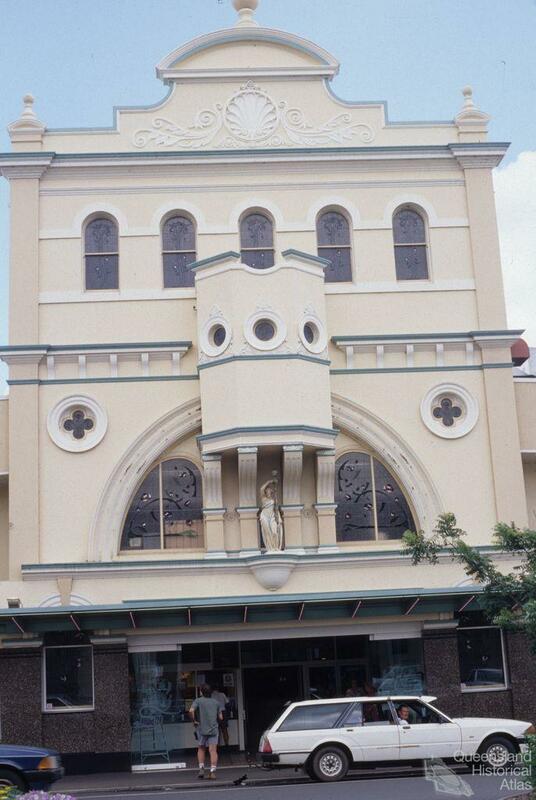 Although Queensland venues were run down by the end of the war, cinema-going remained an important regional cultural activity in 1950, with 300 of the 1200 Australia-wide venues then located in Queensland. Saturday-night attendance, often in formal attire, had become a ritual in larger centres, matched only by Sunday church observance. Moreover neon signs above the larger theatres remained conspicuous both in and beyond the town centres. Post-war consumerism nevertheless brought significant change to regional cinema-going. 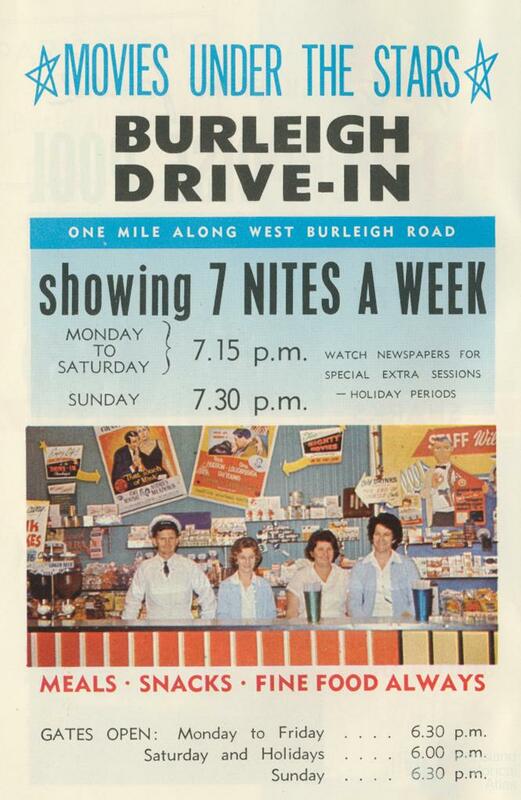 Despite the imminent prospect of television, the advent of the motor car encouraged the construction of drive-in theatres in Australia’s outer suburbs, including at Ipswich and Rockhampton by 1958-59. The steady closure of suburban and city venues over the following decade, including the Wintergarden picture palaces, was due not only to the introduction of television broadcasting into regional Queensland from the early 1960s, but also to the popularity of drive-ins which attracted a young generation to film in pursuit of American values and celebrities. The drive-in also offered young adults, if they could buy or borrow a car, a degree of privacy that eluded them at the parental home or in the cinema. 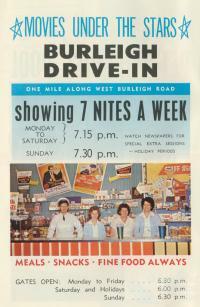 Despite the decline of its spacious indoor theatres, Birch, Carroll and Coyle continued to operate profitably after the arrival of television, by purchasing and operating drive-ins in the 1960s and 1970s. It embarked upon a new round of acquisitions in far North Queensland and undertook new theatre construction on the Gold Coast and Northern Rivers. More serious for the industry than the advent of television and colour films were the inroads made into its audience by video distribution in the mid-1980s, confirming a long-term trend to home entertainment at the expense of traditional cinema-going. By the 1990s, most drive-ins in Queensland had closed at a time when multiplexes, constructed by Birch, Carroll and Coyle and rival Hoyts, had become a feature of large shopping centres and malls. These in turn offered the industry new possibilities for attracting young audiences and developing product synergies with both the television and gaming industries.